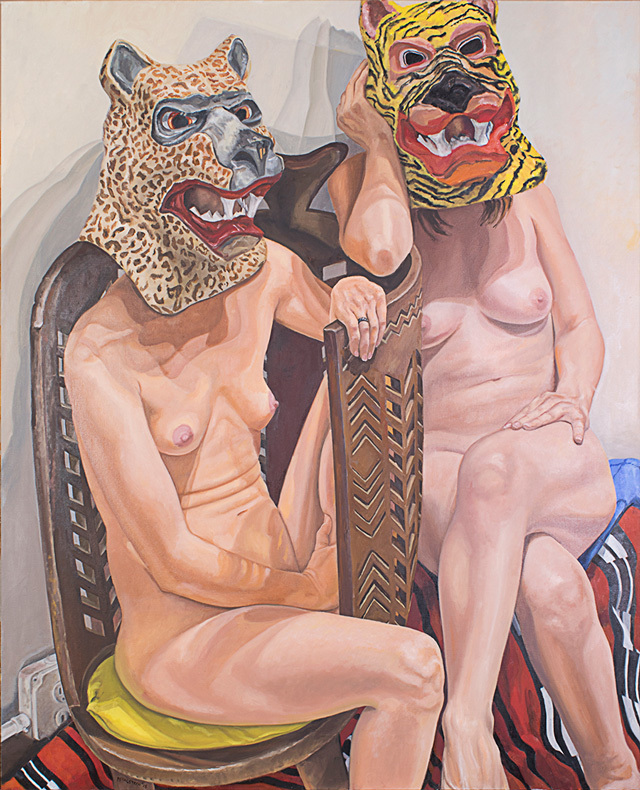 Janet McKenzie interviews painter Philip Pearlstein. Pearlstein comments that "teaching was itself a great learning process. One of the artists I fell in love with while I was an art history student was Mondrian. I used the library at the Museum of Modern Art for my research on Picabia and Duchamp and when I needed a break I would go down to the galleries, and in those days they were empty so it was possible to stare at works without interruption. Mondrian was already the God of all layout artists, but as I really got to know his work, it began to vibrate, to do very strange things. It moves, the elements move if you give the work time. All sorts of things happen with the optic nerves, I guess, so lines drift and move around. You blink your eyes and it’s all gone. I tried to teach on that basis. Everything I taught involved some of that lesson I learned from Mondrian, from his picture structure and how the picture structure drifts. The setups I produce in my studio are really theatre designs – maybe that’s what I should be exhibiting."